Service dogs like police canines, search and rescue, and drug-sniffing dogs need to be in top health in order to perform their duties. 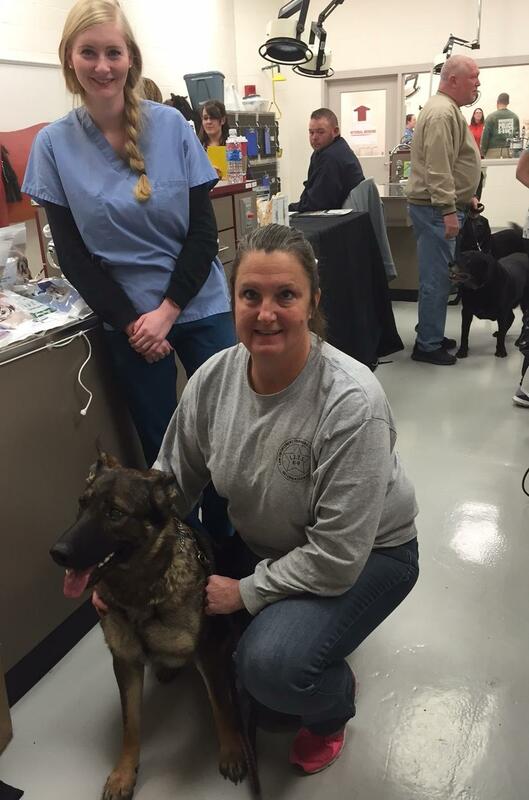 Veterinary care specialists and students are giving up their Sunday morning to help out some local canine heroes. Some 75 good dogs will undergo preventive screenings for everything from cardiac conditions to vision problems as part of the 25th annual Canine Corps Health Clinic. The screenings are free because, as Schwartz points out, if a department exceeds its budget, there may not be enough money to take care of all the animals. They also provide screenings for retired working dogs living in private homes. Now in her ninth year, Schwartz says she’s found torn ACLs and back injuries along with more serious problems like tumors and cataracts. The dogs are referred to their primary veterinarians for treatment. 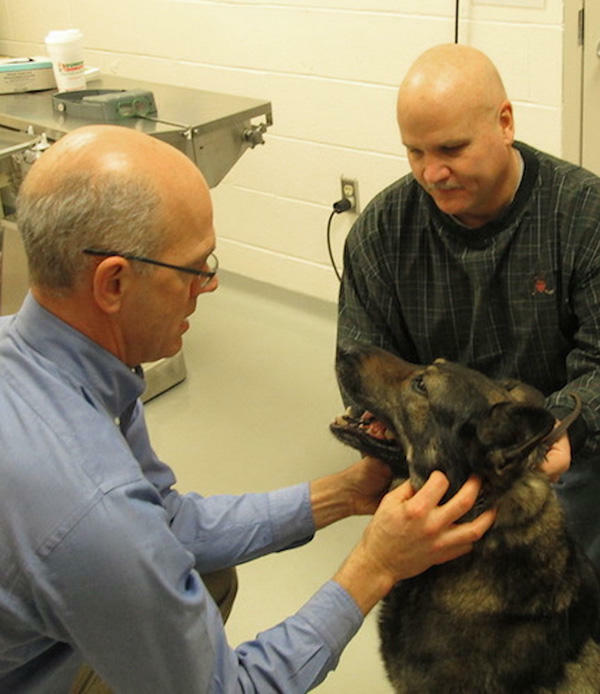 The preventive screenings are focused on the particular needs of working dogs. A laboratory company is offering free blood work, as well. Veterinarians, veterinary technology students from UC Blue Ash, and specialists from around the region volunteer their time to participate. UC Blue Ash Assistant Professor Stacey Benton says it’s helpful for students, too.